PARIS, May 20. /TASS/. 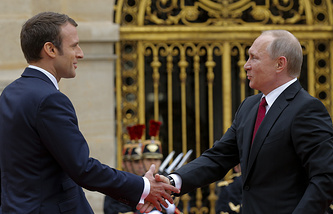 French President Emmanuel Macron plans to give impetus to bilateral relations during his upcoming visit to Russia, a spokesman for the Elysee Palace told the Journal du Dimanche weekly newspaper. The article was published in the run-up to Macron’s visit to Russia scheduled for May 24-25 at the invitation of Russian President Vladimir Putin. The spokesman stressed that "dialogue with Russia is maintained and continues," despite the differences in positions on the Syrian and Ukrainian crises, and also the case of former Russian military intelligence officer Sergei Skripal, who was allegedly poisoned in Britain. "The two countries will have to do a lot to build [their ties] but there should be an unbiased approach to this, with open eyes," the spokesman said, noting that it is unlikely that the sides will make serious progress on the challenging issues. According to the newspaper, "the dialogue between the two leaders during the visit will be resolute, but specific in form." 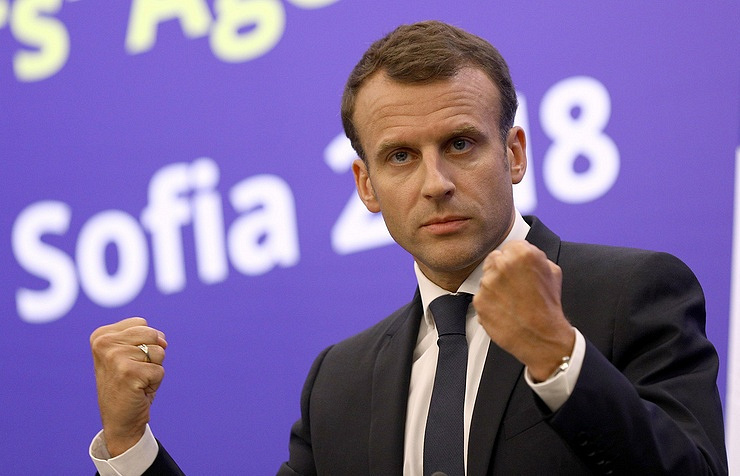 President Macron plans to give a new impetus to bilateral relations, but "will adhere to the European Union’s framework" following Crimea’s reunification with Russia, the spokesman noted. Macron seeks to hold dialogue with the Russian president "without any naivety." The French president has been thoroughly preparing for his visit to Russia, the newspaper said. On Friday, he held a meeting in the Elysee Palace with historian and expert on Russia Antoine Arjakovsky. He also spoke to philosopher Michel Eltchaninoff, the author of the book "Inside the Mind of Vladimir Putin," which has become very popular in France and other countries, and translated into a dozen of languages.